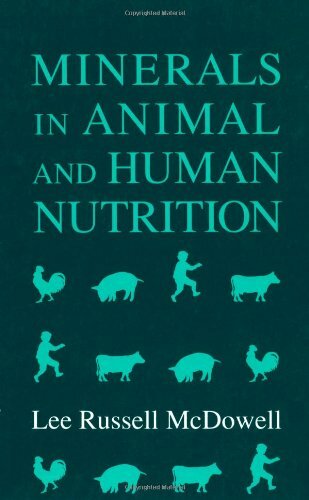 Synopsis: This book presents concise, up-to-date information on mineral nutrition for livestock and poultry, as well as comparative aspects with laboratory animals and humans. Chapters are organized by established and most common minerals and present information on each mineral's properties, distribution, and natural sources, as well as their requirements, metabolism, functions, deficiencies, and toxicity in various animals. Minerals in which naturally occurring deficiencies or excesses are known to be of economic importance are emphasized. Many practical implications of deficiencies and excesses are also discussed along with methods sources of supplementation. This is both a comprehensive textbook and reference manual that will be useful for animal and veterinary scientists, nutritionists, and human medical researchers. It will also be valuable for feed manufacturers, livestock extension specialists, and farmers.